At the end of last month I shared a post about how you can use design templates to promote your content. 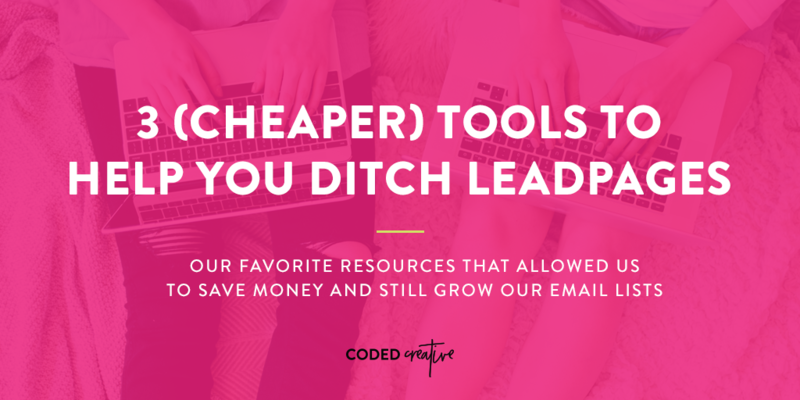 In the post, I touched briefly about how you can use a fun graphic to show off your content upgrade and encourage your audience to click and opt-in for it instead of just a plain ol’ opt-in form. When you compare that to a plain embedded opt-in form, you could easily see how that type of graphic could increase your opt-in rates, right? 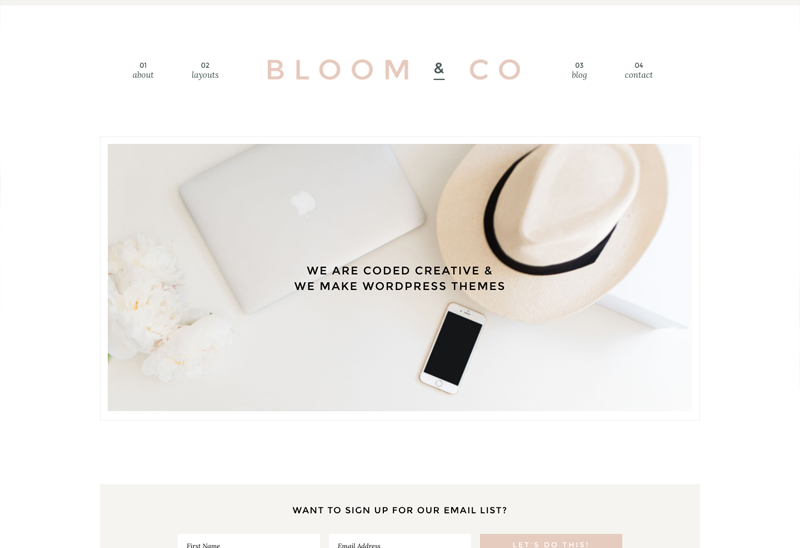 The graphic button now only stands out more in your blog post, but it also shows off a preview of your freebie. Both of those are much more likely to get people opting in to get your freebie and join your email list. P.s. 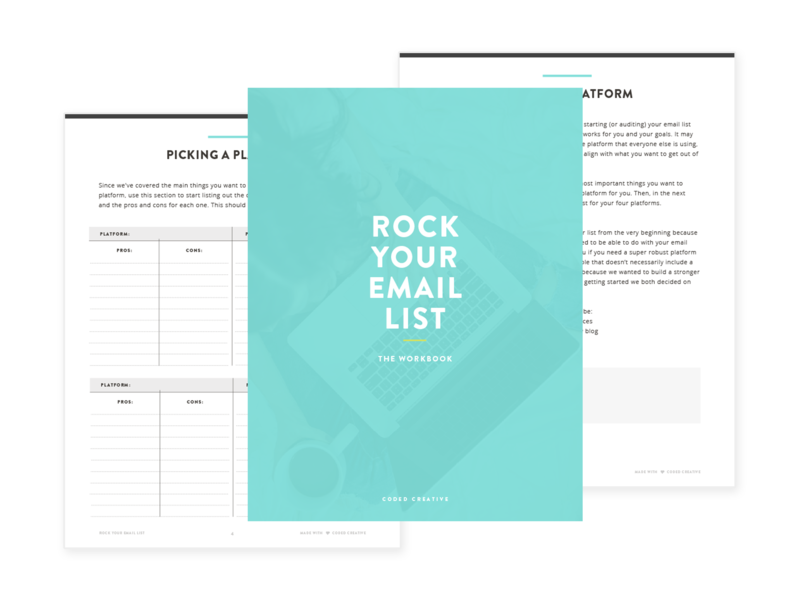 Embedded opt-in forms are also an easy way for spammers to quickly jump on your list – even with double opt-ins enabled in your email marketing platform. This is an added reason I recommend using a button that will open a pop-up form. Unless you’ve been (somehow) living under a rock, then you likely know that you need to be on Pinterest to help get your content seen by more people. 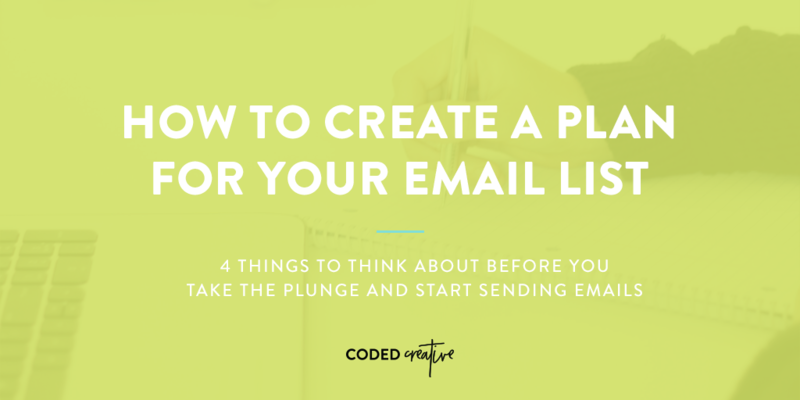 But simply being on Pinterest and pinning your content doesn’t necessarily mean that you can turn those people seeing and pinning your posts into email subscribers. Just like using a graphic button for your opt-in freebies in your posts, showing off your freebie on your Pinterest graphics can help motivate people to click over and opt-in. Save a couple of pages from your freebie as a PNG file. The past couple of points I’ve covered talking about opt-in freebies that you give away in your blog posts. But what if you have a signature download for your audience? What’s the best way to drive traffic to that one freebie? 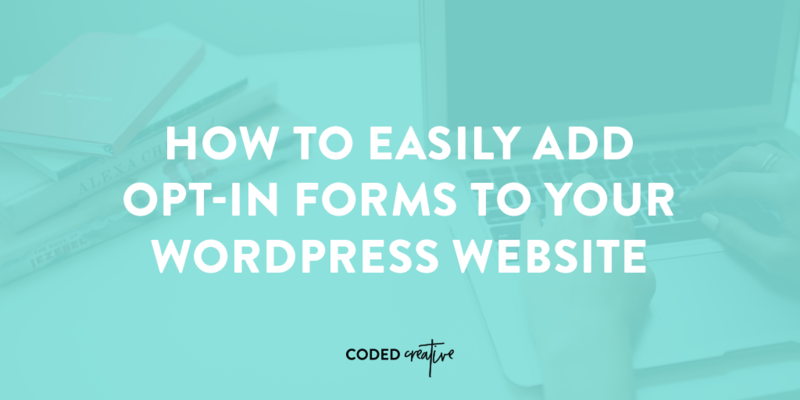 If you have one may opt-in incentive that you want to send your audience to, the best way to set that up on your site is to have a separate landing page that you can promote on places like Pinterest or Instagram. However, it’s not enough to just have the page linked in those places. Increase the likelihood of someone actually landing on that page by using graphics to promote it! For example, in 2018 I had two quizzes for designers on my personal site. Once someone took the quiz, they had to opt-in to get their results, which meant I was using the quiz to grow my email list. To help boost the number of people who saw those landing pages for the quizzes, I created a few pins and sent them off on their way on Pinterest. 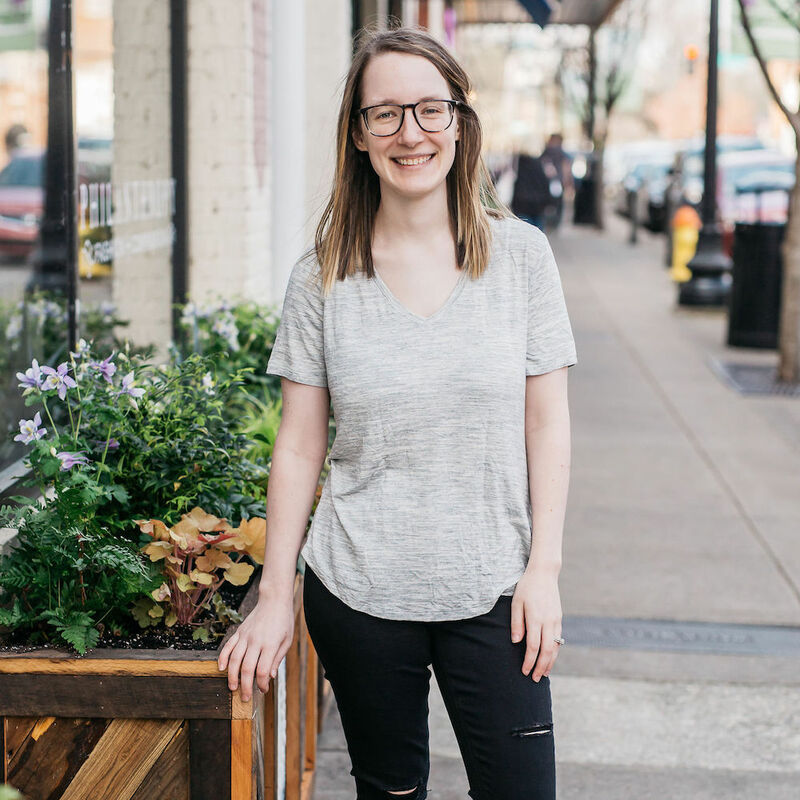 This helped me continue to get eyes on my opt-in freebie (the quiz) and ultimately increase my opt-in rate without having to constantly link to the quiz in blog posts or talk about it on Instagram. Graphics don’t have to just be a billboard for your latest blog posts. 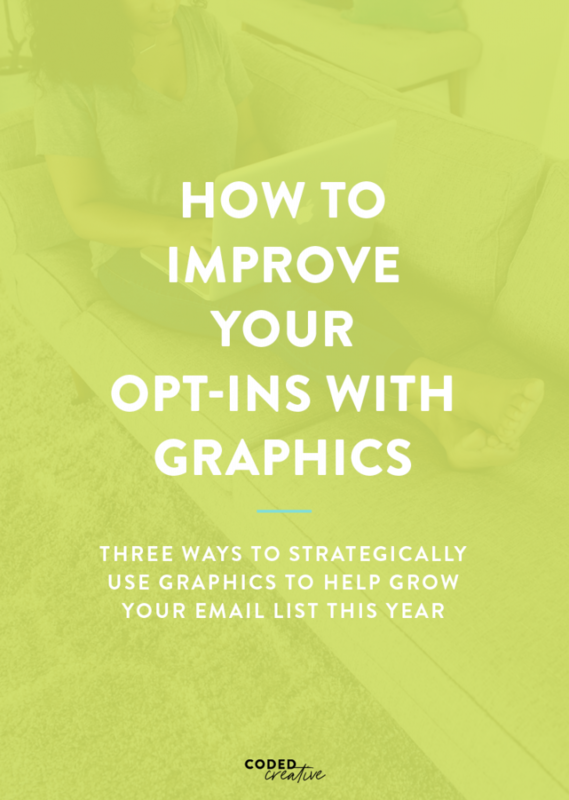 You can easily tweak the design or create different graphics to help reach more people and grow your email list, and hopefully this post inspires you to think about how you can use your graphics to expand your brand this year. 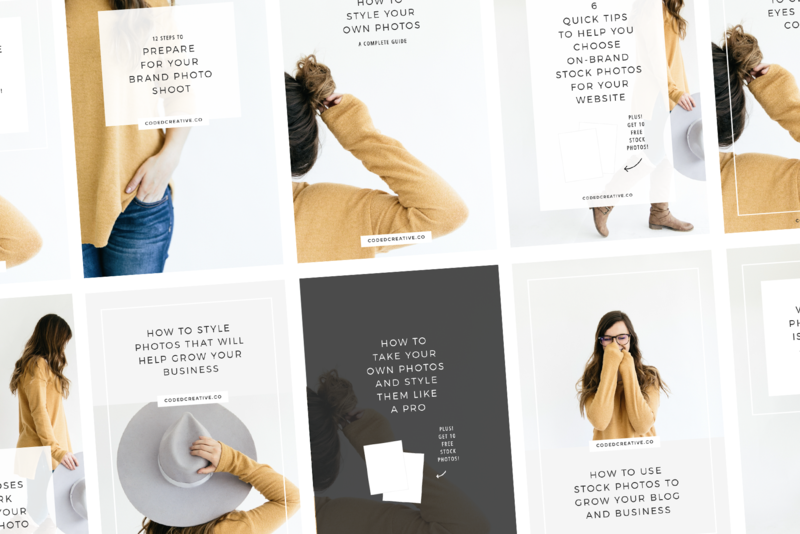 If you need help creating both beautiful and strategic graphics that will do great things for your blog or business, be sure to check out the Pinterest templates in the shop!